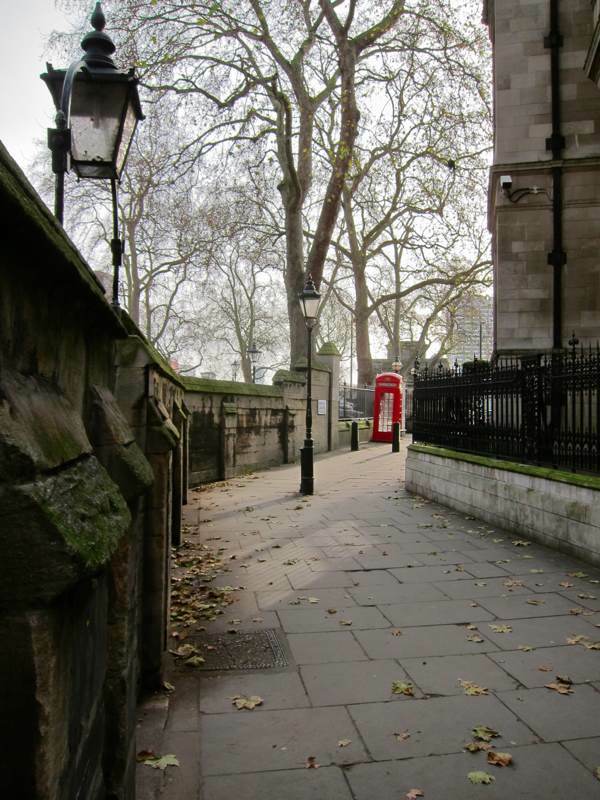 If you were to take a turning off the Strand, walk down Essex St, then descend Milford Stairs to Milford Lane, emerging within the shadow of the nineteenth century edifice of Two Temple Place, then sneak between the ornate railings and slip in through a crack in the panelled door – you might find yourself alone, as I did, in the hallway of the extravagant mansion built for the reclusive William Waldorf Astor when he inherited a hundred million dollars in 1890, became the richest man in the United States and fled to London in exile. “America is not a fit place for a gentleman to live,” he declared after receiving death threats and kidnap attempts upon his children. Yet even before you know the details or learn that Astor employed pre-eminent architect, John Loughborough Pearson – luring him with an unlimited budget – you sense that you are at the portal to a fantasy. 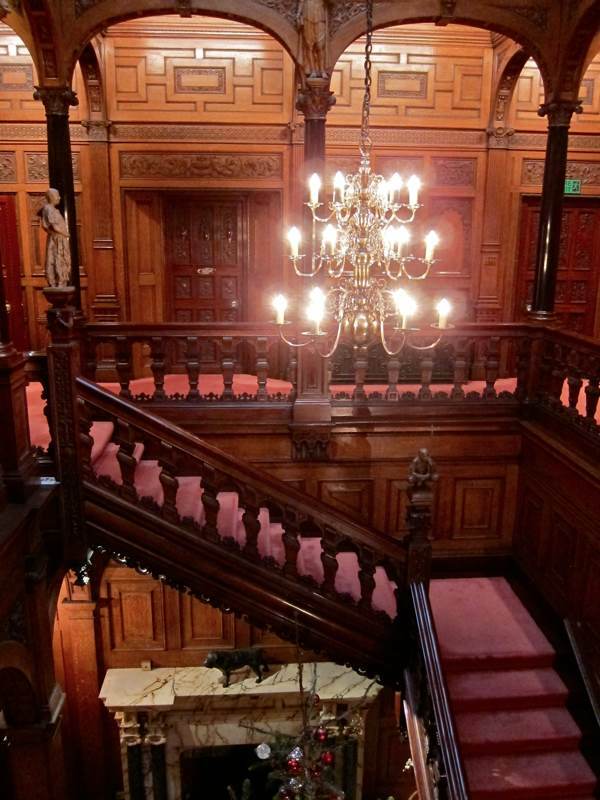 The staircase is oak, the panelling is mahogany, the pillars are solid ebony and the marble floor is inlaid with jasper, porphyry and onyx. Twelve characters from Robin Hood sculpted by Thomas Nicholls upon the newel posts emerge from the gloom, harbingers of another world that awaits you at the head of the stair. So frustrated was Astor that, in 1892, he released announcements of his own death in the vain hope of winning greater privacy, only compounding his personal enigma once they were revealed as false. 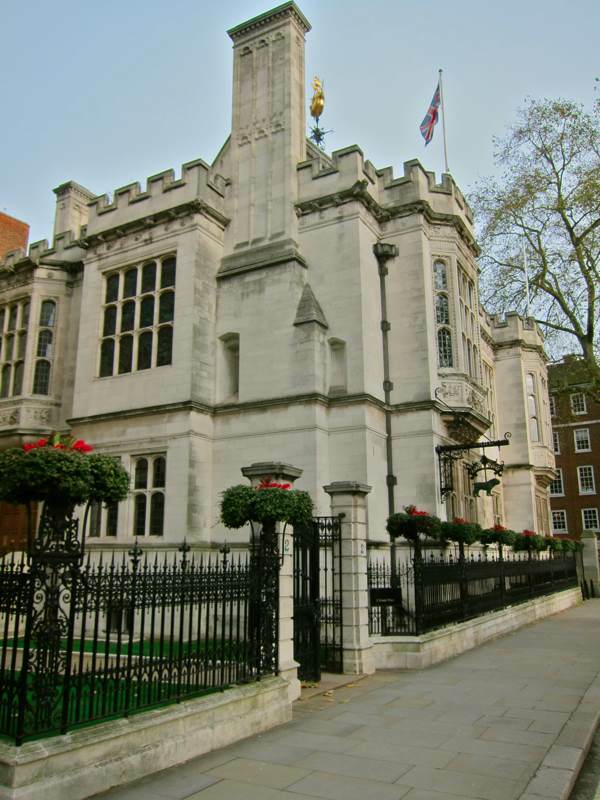 After Astor’s wife died in 1894, he often retreated from his family home in the more fashionable Carlton House Terrace to sleep at Two Temple Place, built as the headquarters of his sprawling business empire. “There I am safe,” he confided to Lady Warwick and showed her a lever upon the first floor which locked every entrance to the building. Similiarly at Hever Castle, Astor’s primary country residence, he had a drawbridge constructed that could be raised each night. 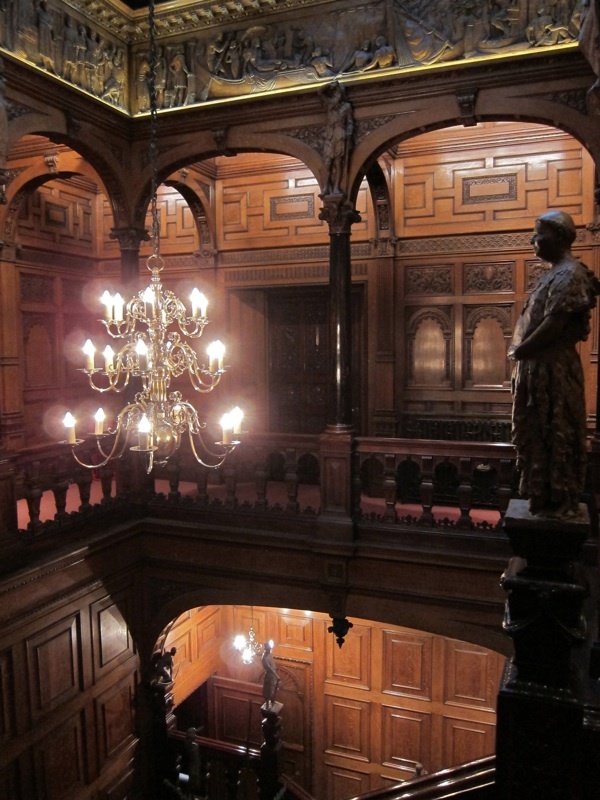 Two Temple Place is the glorious product of an idiosyncratic and unfettered imagination. 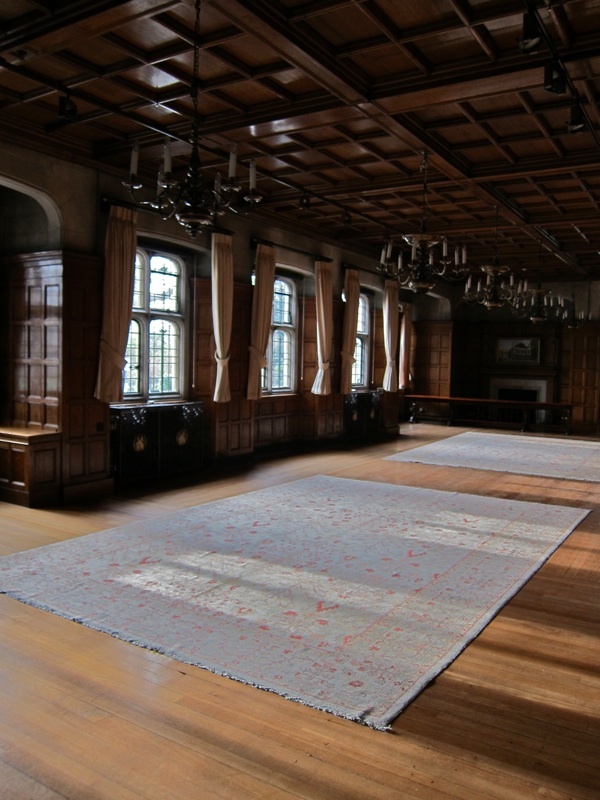 After Astor’s death in 1919, it was rented and then sold for use as offices, only opened to visitors a year ago by the Bulldog Trust as the venue for an exhibition of William Morris, when it was revealed to the wider public as a lost masterpiece of late nineteenth century architecture. Thus it was that I was granted the privilege of a visit to savour this fantastical interior for myself. 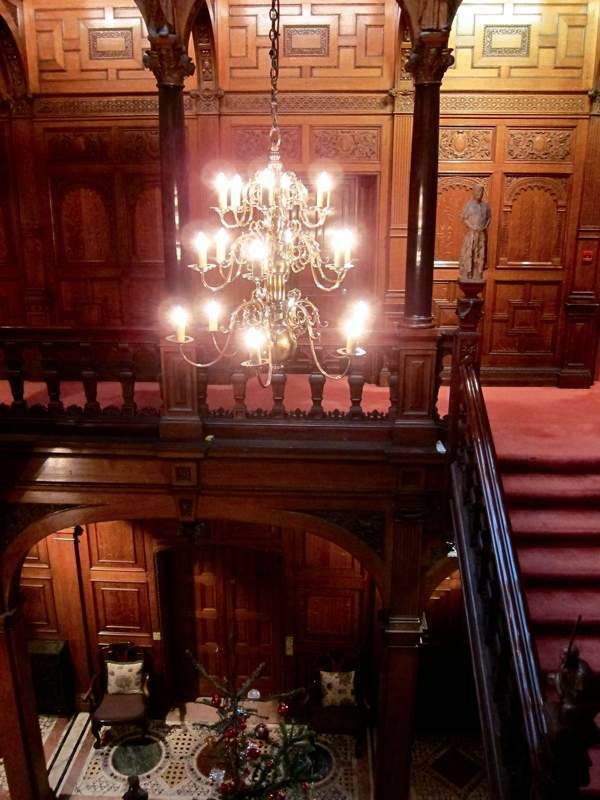 Standing at the foot of the staircase, you understand why Astor felt “safe,” in the sense that you are entirely enclosed by the wood-lined room which permits no window to the outside world. 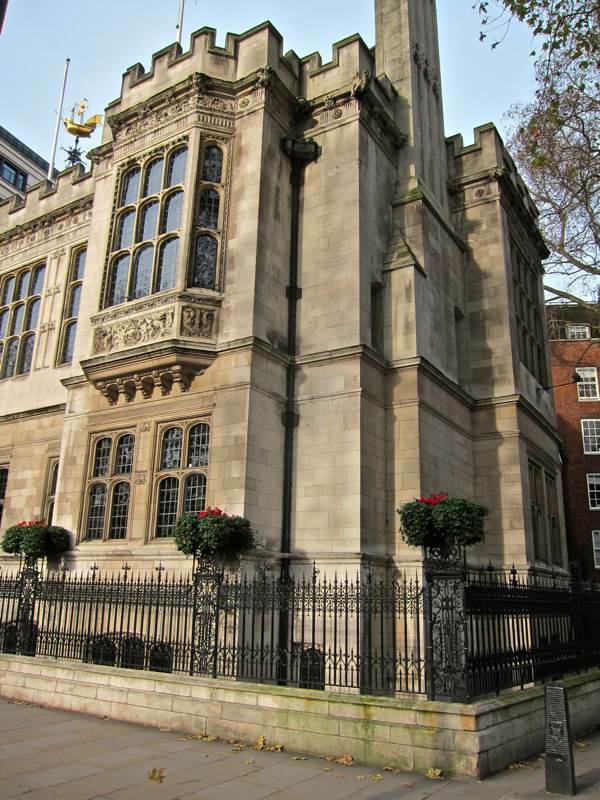 Comprising a square stairwell, the space rises to an enclosed gallery with arches similar to those in engravings by Esher. 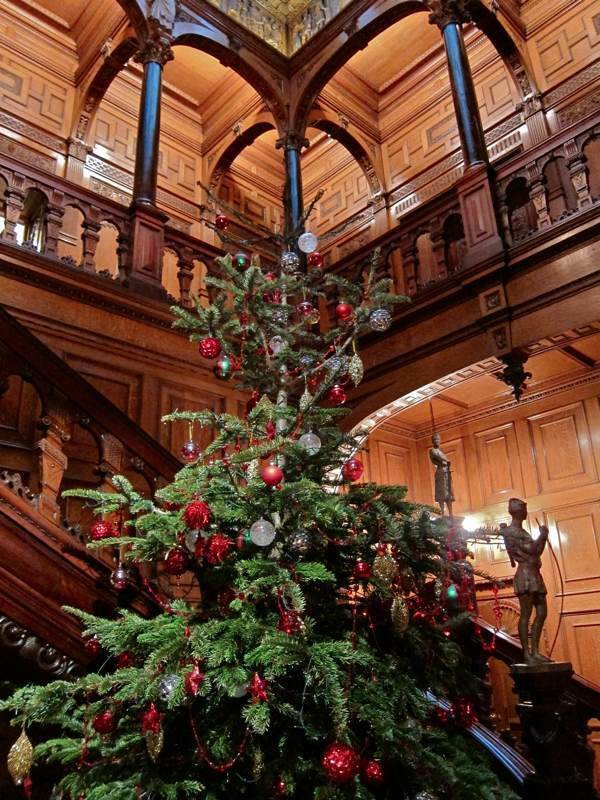 The bitter aroma of pine from the Christmas tree rises in the soporific warmth of the central heating as you ascend in the shadows to the gallery, where the extent of the literary iconography which recurs throughout the building becomes apparent. 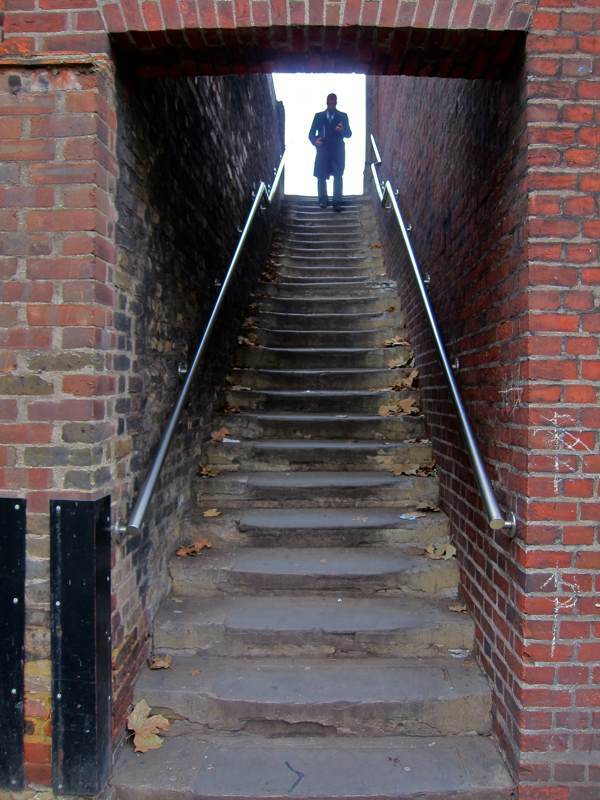 At each corner of the stairwell stand Astor’s favourite protagonists from novels – Hester Prynne, Rip Van Winkle, The Pathfinder and The Last of the Mohicans – characteristically, all are outsiders who are misunderstood. 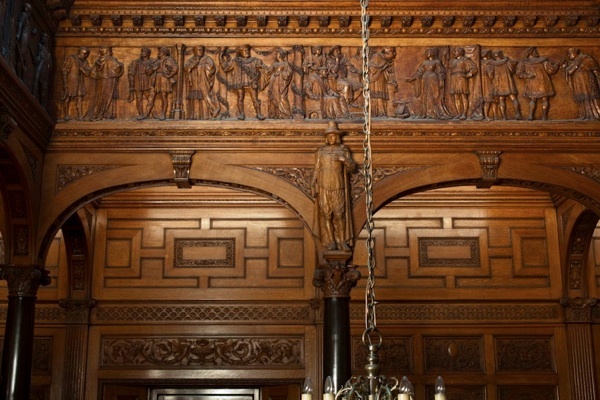 Above them is a Shakespearian frieze with eighty-two identifiable characters from Anthony & Cleopatra, Henry VIII, Othello and Macbeth, significantly chosen as plays that dramatise the torments of power. Yet, remarkably, the proportion and order of the space, the lustre of the materials and the expertise of the workmanship place everything in perspective – the chaos of human endeavour is reconciled within this sanctuary of the imagination. Unsurprisingly, Astor’s private office is equipped with both a secret door and discreet drawers for the storage of champagne, the latter hinting at a brighter side to his nature. 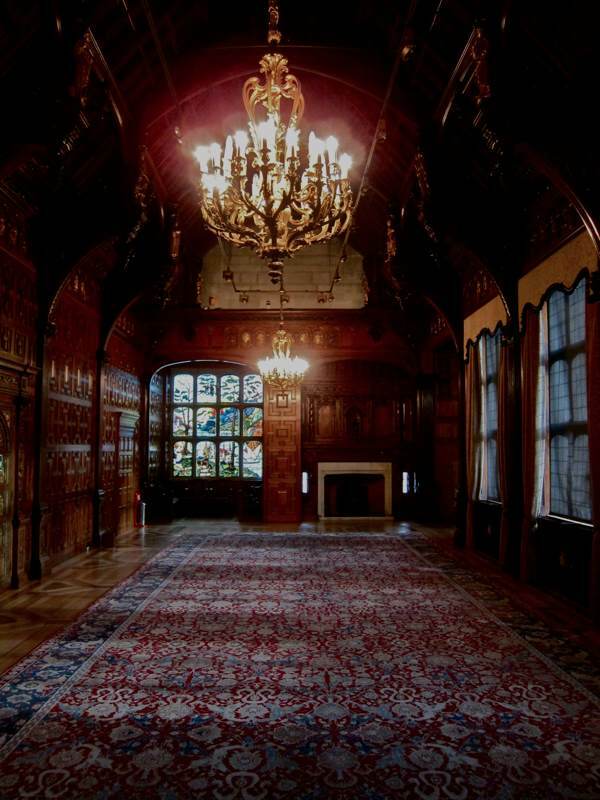 Through the secret panel is the largest room in the building, known as The Great Hall or The Mediation Room, where Astor summoned those he chose to do business with. 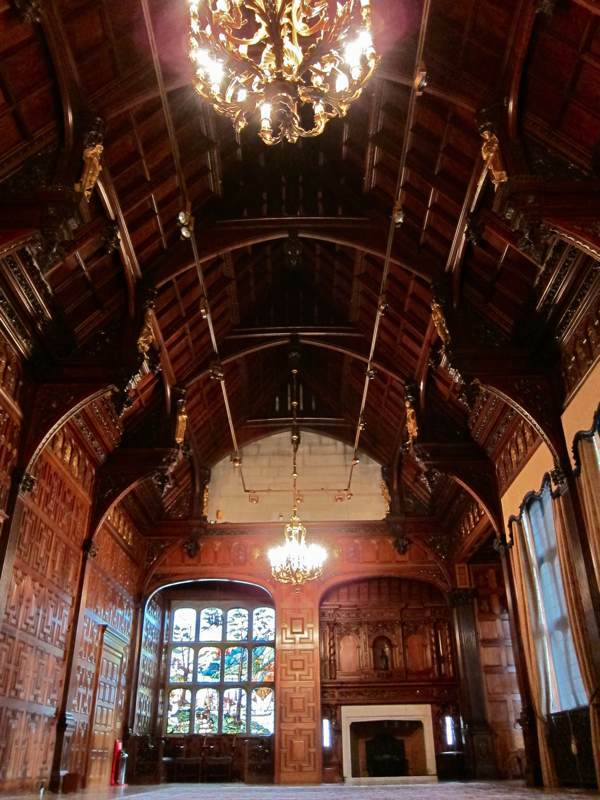 I was told that Pencil Cedar was chosen for the panelling in this room, emitting a relaxing aroma calculated to dispel any tension, yet such is the grandiose nature of the seventy-foot long hall, I doubt anyone would seek controversy in the face of its creator. At either end, stained glass windows portray the rising and setting sun while the epic mahogany hammer-beam ceiling above is modelled upon the design of the roof in Middle Temple Hall, a wooden frieze depicts a mixture of personalities from history and myth, including Bismarck and Pocahontas, and characters from Ivanhoe perch upon the beams – gilded, just in case you might fail to notice them in the flurry of literary references. Once the time comes to leave, overwhelmed by the wealth of detail, your eye falls upon the Arthurian heroines by George Frampton languishing upon the rear of the door. You stumble back into the vestibule, intoxicated by the decorative excess yet seduced by the dazzling assurance of your host. 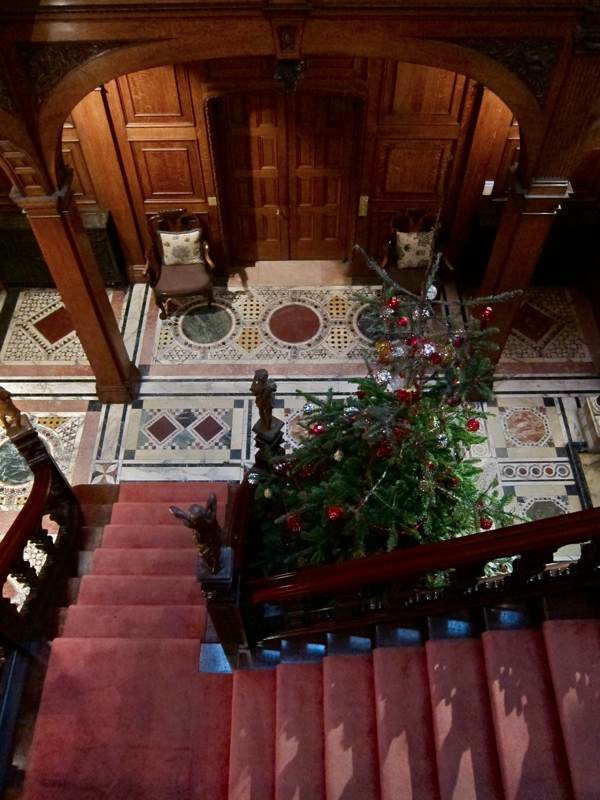 There are so many corners and doors within this intricate building, which retains the presence and personality of its creator so vividly, you half-expect William Waldorf Astor to appear at any moment and pull the lever to lock all exits. 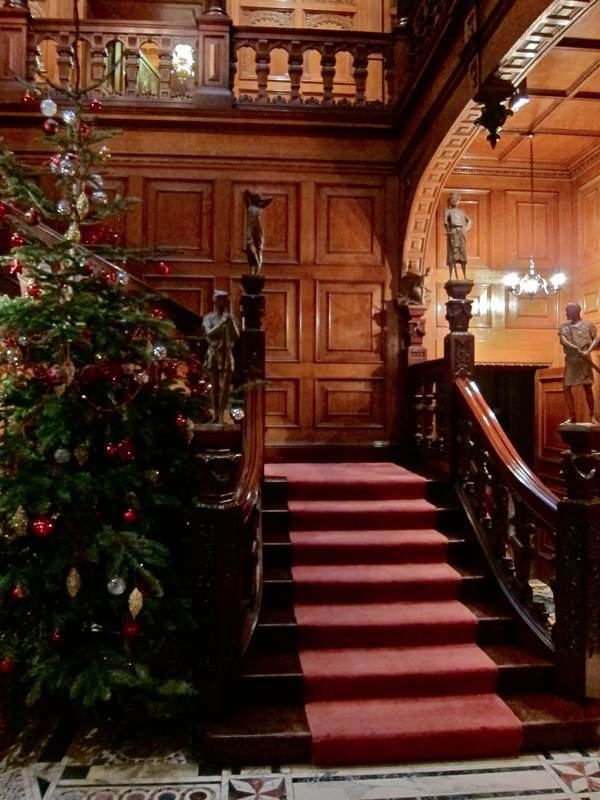 Yet who could object to spending Christmas holed up by the fire at Two Temple Place and letting the outside world recede far away? 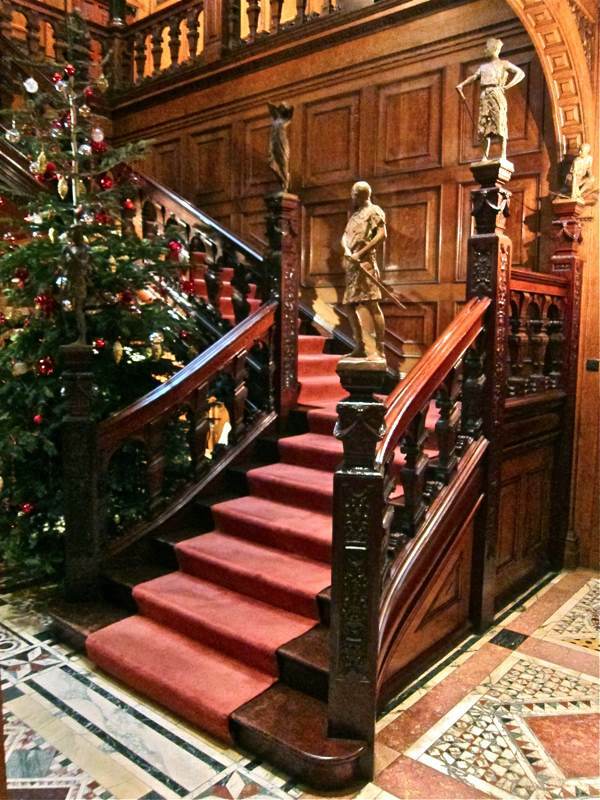 Twelve characters from Robin Hood sculpted by Thomas Nicolls adorn the newel posts. 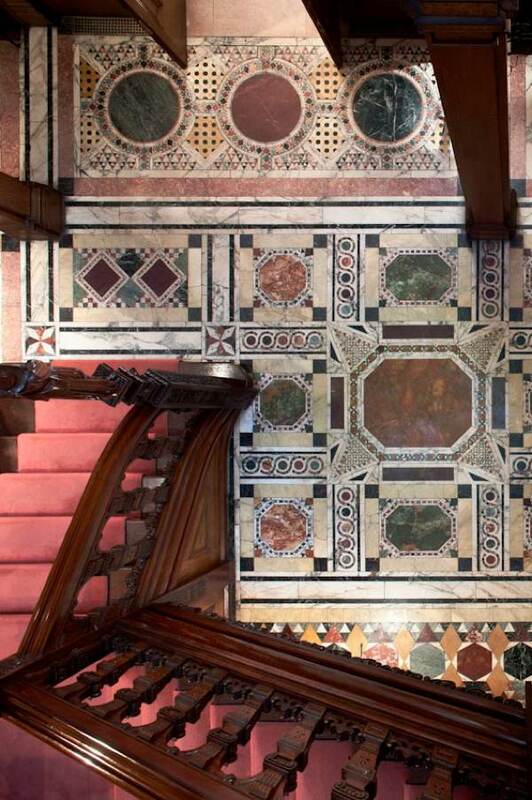 The floor is inspired by the Cosmati pavement in Westminster Abbey. Scenes from Shakespeare with eighty-two identifiable characters filling the frieze above the stairwell. 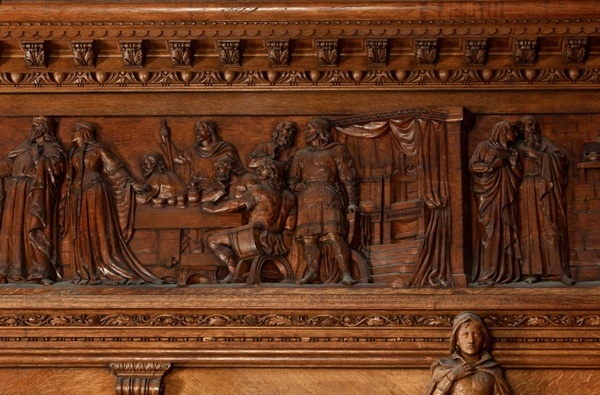 Frieze of a scene from Macbeth. 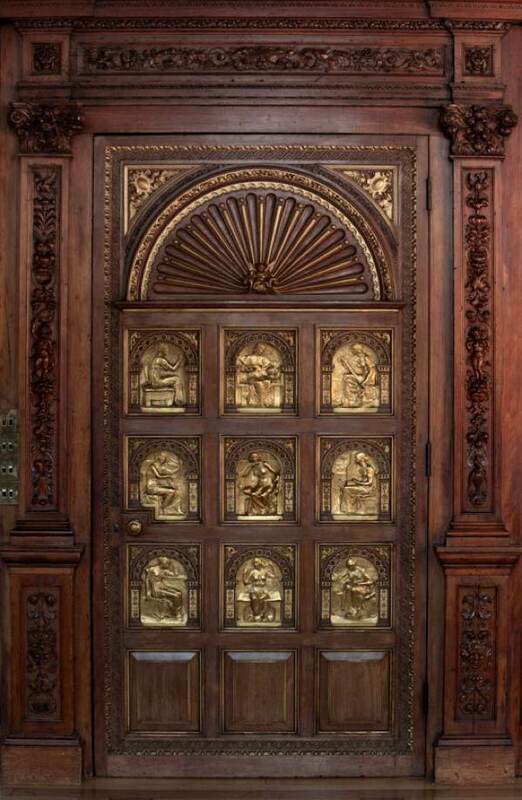 Gilt panels by George Frampton upon the door in the Great Hall depict heroines of Arthurian myth. 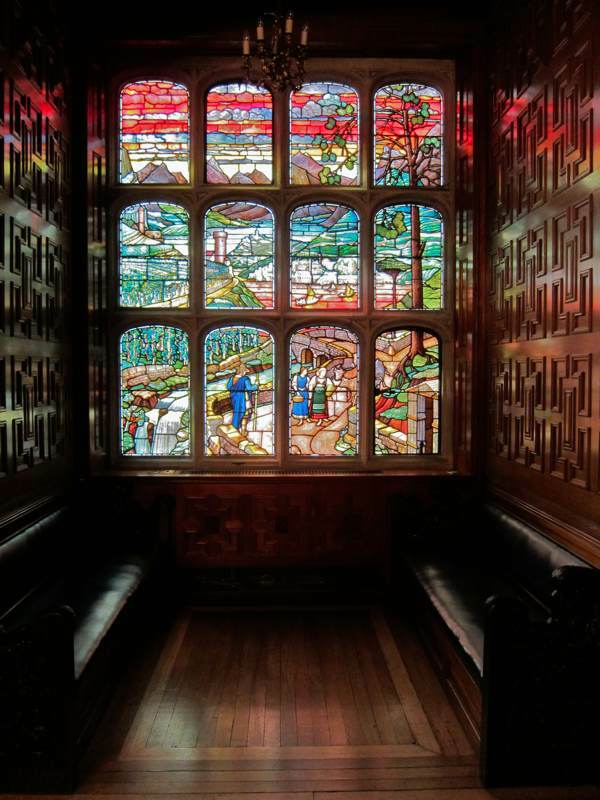 The window by Clayton & Bell at the west end of the Great Hall depicts sunset in the Swiss Alps. Ground floor reception room overlooking the Thames. Weathervane by J. Starkie Gardner depicts Columbus’ caravel in which he discovered America. Milford Stairs leading to Essex St.
Amongst Heroes – The Artist in Working Cornwall, paintings from the Royal Cornwall Museum opens at Two Temple Place on 26th January – Admission free. PS Although I have no connection to East London (or maybe because of that), I find your postings very interesting. Admire your commitment as well. Thank you for this – your descriptions are almost as opulent as the place itself. Fabulous. How do you find these magnificent Jewels G.A.? Hidden in plain sight,perhaps? As always,thank you for your remarkable dedication to this blog. As I read through and enjoy the images,I would swear that I could walk outside and find myself in the heart of East London. Someday perhaps,i will be able to leap the pond and see your fabulous country. ~~~The Anglophile of Chincoteague Island,Va. I am trying to find out more about my ancestor, Gaspard Gueruer, who was a Huguenot from London to Virginia around 1701. According to what I can research on Ancestry.com, his name was later changed to Jasper Gardner. One of his son’s name was John Gaspard Carner. John married Susanna Dupree, son of Jean and Mary Dupree. If anyone has any information about them, I would greatly appreciate it.